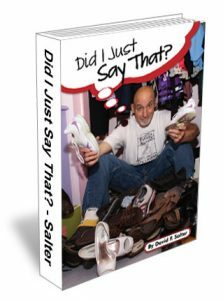 Books – the "Don't Say I Can't Project"
I have been accused, on more than one occasion, of not thinking before I open my big mouth. But when you have four females under your roof every day, not only do you talk to yourself a lot (I’ve also been accused of mumbling) but also you often say things that you wish you wouldn’t have said. My best defense is to insert my foot into my mouth whenever one of my four women ask me a tantalizing question that can only result in a regrettable answer. Fathers with daughters have special needs. We are a unique breed. Unless you’ve experienced it from my side of the toilet seat, you have no clue what dads with daughters think about, what haunts them at night, and what strategies can improve the father-daughter relationship. That’s why I’ve written, Did I Just Say That? 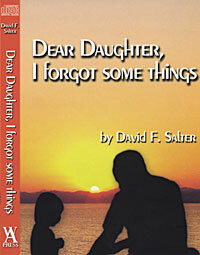 This is a humorous parenting memoir of my 21 years in the trenches helping to raise three daughters. The least I can do is to share all of my mistakes with other fathers. I’m not a child psychologist nor am I a parenting expert, but I think if your daughter doesn’t look at you at least a dozen times a week and say, “Dad, really? !” you’re not doing your job. One of the most popular items on my blog is my Top Ten lists, so after each chapter, I’ve crafted a Top Ten list specifically for that chapter, like the Top Ten Things to Say to Scare the Crap Out of Your Daughter’s Boyfriend. In his quest to uncover the secrets of successful female leadership, Salter interviewed and observed eight of the elite women’s basketball coaches in the country. These ladies operate in the ultimate ‘win or you’re fired’ industry. 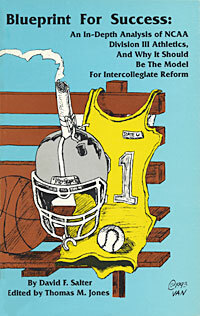 They manage staffs and players under constant media and public scrutiny, with the burden of healthy salaries. They lead their programs to the upper echelon of success on an annual basis. 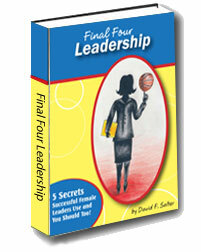 Salter details here how these successful female leaders do what they do through insightful profiles, five universal secrets, and 40 bonus leadership thoughts. This book has applications for women (and men) who aspire to leadership, or want to do a better job of leading the people they do currently. Mary Catherine Tutullo is a cantankerous soul with a heart of gold. She’s a miniature powerhouse who can’t break five feet or 95 pounds. She visits her mother, Theresa, at Pine Acres every day, even though Theresa hovers somewhere between dementia and Alzheimer’s. As misfortune would have it, Mary Catherine’s Holiday plans are scuttled when a burly pickup truck intersects her station wagon like a sledgehammer to an empty coffee can. 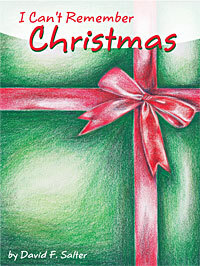 It’s just a few days before Christmas and Mary Catherine thinks the ache in her hip might be more than a bruise. How’s she going to get Christmas dinner to Theresa if she’s reclining in a hospital bed? Your daughter’s just turned 13 and, in her eyes, you’ve become as smart as a box of hammers. Talking to your teenage daughter can raise more emotions than helping your wife select draperies for the guest bathroom. But it’s got to be done. In a series of letters to his teenage daughter, Salter discusses a number of critical thoughts that fathers need to share with their teenage girls. This is not a ‘how-to’ primer from a child psychologist. It’s a candid conversation from a regular Dad who wakes up every morning with three girls fighting for the bathroom, the hair dryer and the “good” hairbrush. 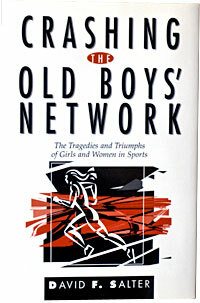 Crashing the Old Boys' Network is the first book to examine the intense, and sometimes hostile, debate about Title IX and its application to girls and women in all areas of athletics. The facts and figures are highlighted by spirited commentary from Billie Jean King, Donna Lopiano, Pat Summitt, Chris Berman, and many others. By using the commentary of well-known personalities and experts in a variety of relevant disciplines, this book uncovers the roots of this controversy at all levels of athletics. While many believe Title IX and gender equity to be applicable only to intercollegiate athletics, its reach touches girls in high school athletics as well. While a few critics of scholarship student-athletic sports recommend federal regulation or "pay-for-play," none of these ideas answers the fundamental question of how these kids -tomorrow's work force – can complete the education they deserve. Salter points to the answers with his Division III experts of college presidents, athletic directors and coaches who are part of a workable system. And the experts concur, with some adjustments by Division I colleges and universities, scholarship student-athletes can have it all.